SpaceX CEO Elon Musk said on Twitter that the aerospace company will “hopefully” begin test flights of its “Hopper”spacecraft this week. The vehicle, which was designed to take passengers to Mars, will be tested at low altitude at a launch site east of Brownsville, Texas. “First hops will lift off, but only barely,” Musk said in a tweet. He added that the first hop attempts would be "really short" due to the fact that the vehicle will have only one Raptor engine. However, he noted that the spacecraft could do "suborbital flights with three” of the engines. Residents of Boca Chica Village, a housing division near the test site, received a notice in the mail on Friday informing them that SpaceX could start testing "as soon as the week of March 18, 2019.” The notice said that a “safety zone” would be established around the launch site. Though initial tests won’t send the Test Hopper into orbit, Musk has said that he hopes the craft can be sent into orbit in 2020. He hopes the first crew can be sent around the moon in 2023 and the first people can be sent to Mars in 2024. The Starship may eventually be able to carry 100 people and 150 tons of cargo at a time on its journey to Mars. 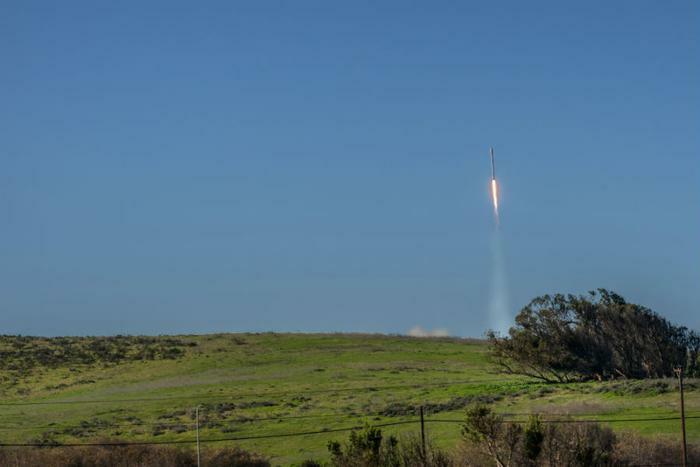 The test SpaceX is aiming to conduct this week will “trial crucial hardware and ideas that SpaceX needs to create a full-scale Starship (formerly called Big Falcon Rocket),” according to Business Insider.